Home » Countries » Australia » It’s a Whale! It’s a Shark! It’s a WHALE SHARK!!! 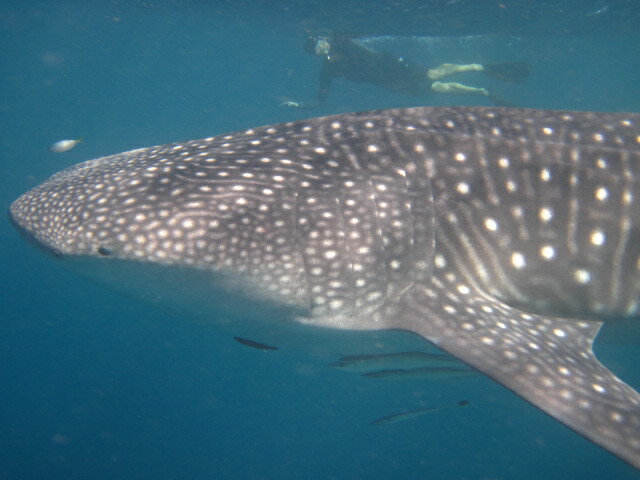 Well it’s been a while since we’ve done a travel blog, and it’s rare that we do a travel blog about a short trip especially at home in Australia… but HOLY COW we’ve just been swimming with whale sharks in Western Australia… and we wanted to blog about it because… it was TOTALLY FRIGGIN AWESOME!!!!!!!!!! 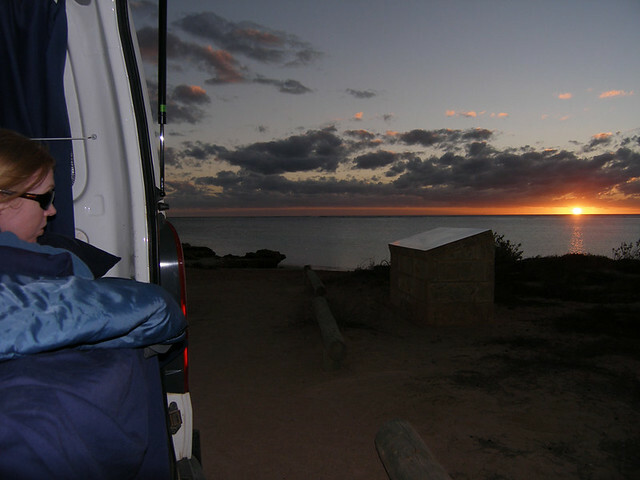 A few days ago we rented a campervan and drove the 1300km north from Perth to the Ningaloo Reef where the whale sharks come to feed from April to July. Now we’d heard about this some years ago from Axel, a German backpacker friend, who like all backpackers, has seen and knows much more about Australia than we will ever know… and since he had worked as a cameraman for the same company that we went with, we managed to watch some video that he had done… and it looked really REALLY easy to go snorkelling with these bigarsed whale sharks. The whale sharks, which by the way are the biggest fish in the world growing up to 13m in length, just seem to glide slowly and effortlessly just under the surface of the water, so you can simply just snorkel with them… and after seeing the footage, we thought to ourselves …gee… that looks piss easy! Holy Cow it was mother friggin HARD!!!! Man… those darn bigarsed whale sharks are fast motherfeckers!!! Basically you are out in open water, and the day we went, we had freezing cold winds and big swells that were so bad that I actually got seasick while swimming. One poor German girl even started throwing up in the water. Not only that, but the waves were so big that even our snorkels would take in water… which basically brought us to the realisation that although Ced and Avril have been blessed with many superpowers… open water swimming was not one of them… We SUCKED!!! Now only 10 people can be in the water with the sharks at any one time, so the boat does try and make it easier on you by dumping you in front of the whale shark hoping it will swim towards you to make it easier to see it… but as soon as it passes, you have to swim your friggin heart out just to keep up with it. And of course me being quite caring and nurturing, then proceeded to pay out on her for the rest of the trip… while hiding the fact that I also freaked out and squealed like a little girl…er… until I almost vomited into my snorkel…. 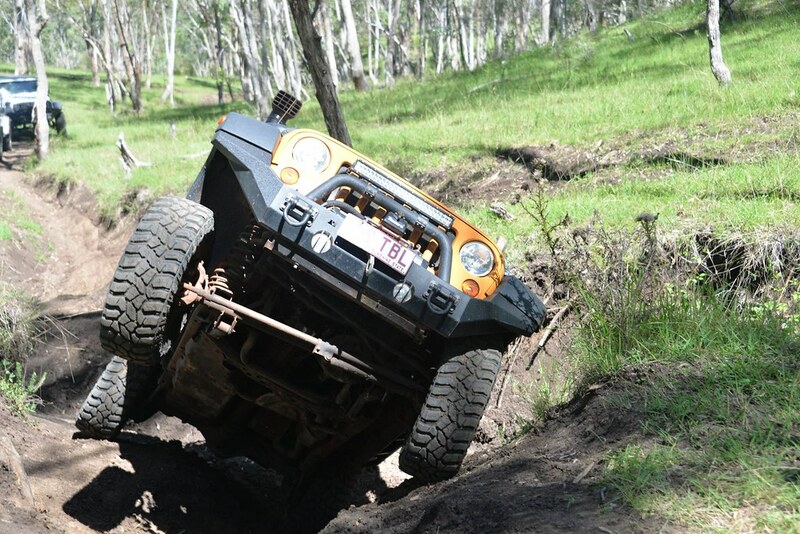 Hmm… snorkel vomit… yum…. So anyway, despite all that, it was TOTALLY awesome and one of the best animal adventures that we have ever done! …although next time we do it, we’ll definitely go earlier in the season so it isn’t as cold and get much fitter as well! 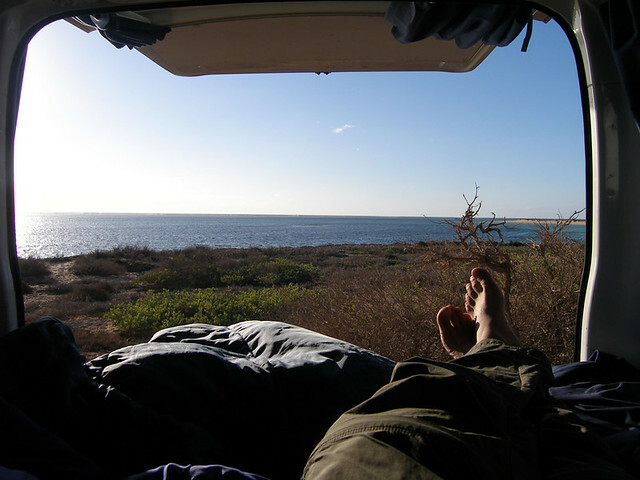 So, now we are currently sunning our toes while lying in a campervan looking out at the beautiful turquoise waters of the Ningaloo Reef in the Cape Range National Park, which we actually think is much more beautiful and much more accessible than the Great Barrier Reef. Up here you can literally camp next to the beach and then wander out into pristine coral reef right on the shore line which is fantastic! 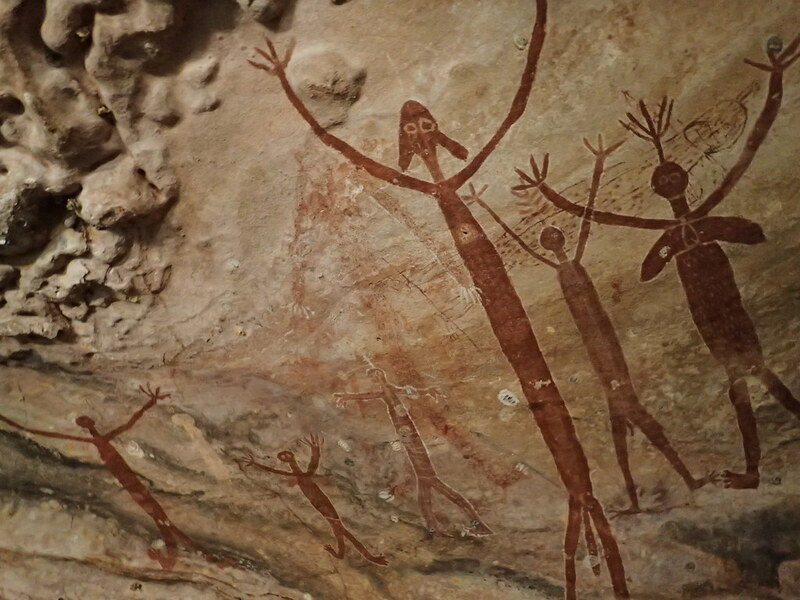 In fact we’d often heard from overseas travellers that Western Australia is their most favourite part of Australia, and now after being here, we can see why. The drive up here was across vast open red rock plains bordered by beautiful turquoise waters, and we’ve seen more kangaroos, wallabies, emus and echidnas up here than we have ever seen in living in Queensland… In fact the kangaroos are as common as pidgeons up here and are probably only outnumbered by the sheer number of grey nomads. 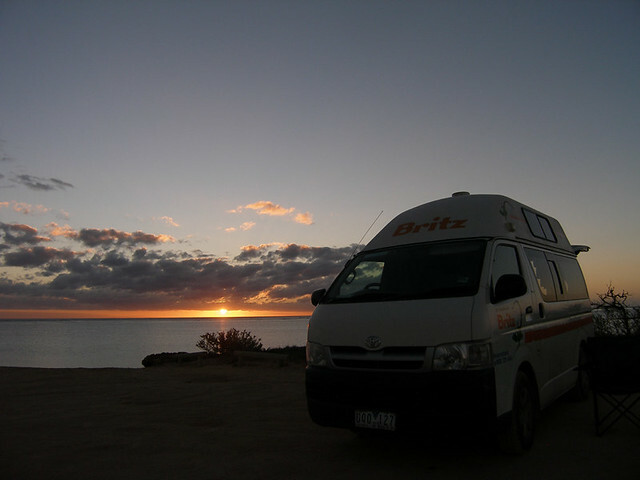 (grey nomads are retired couples travelling around Australia in bigarsed campervans for all you non-aussies). um… although there were a lot of dead kangaroos too, and our American friends Ralf & Janelle who we were travelling with, have now claimed their Australian citizenship by hitting their first kangaroo and seeing another one explode in front of them after being hit by an oncoming 4wd. No dead grey nomads were seen unfortunately. Anyways, we’re going to chill out up here for another day and then mosey back down to Perth over the next few days before heading home on the weekend. Gotta say, we’ve got the travel bug again so we’re now thinking Japan and North Korea later this year. PS. 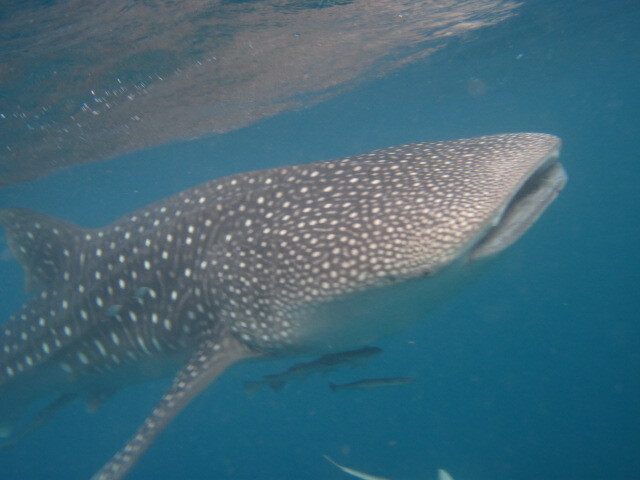 If you are bored, our whale shark photos are at this link. 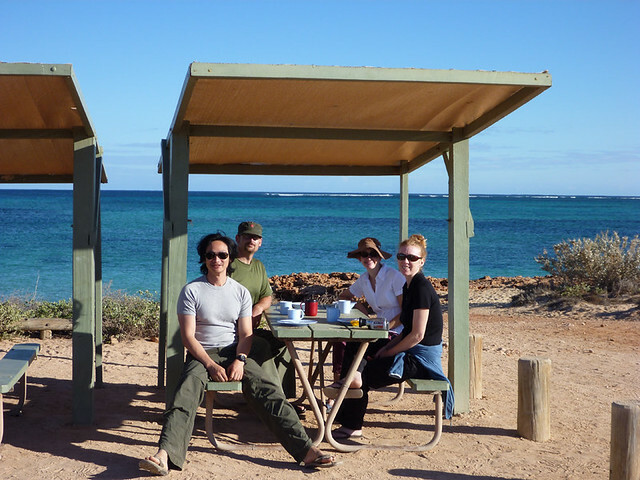 PPS If anyone is interested in going one day, the company we went with was Ningaloo Reef Dreaming which we would totally recommend. 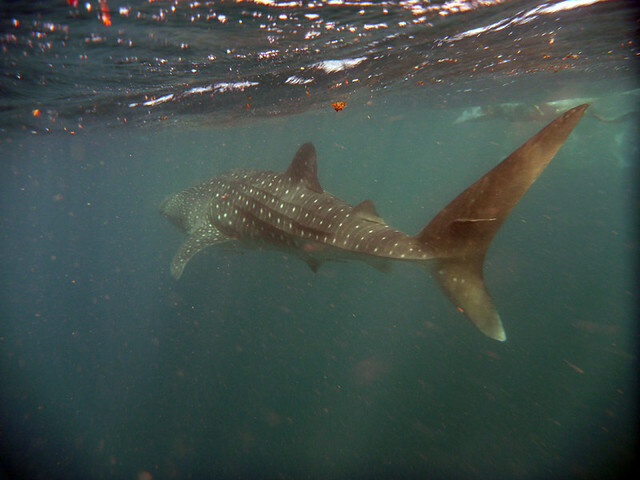 You only get 1 hour with the whale sharks and they have their own spotter plane to maximise the time you get. The other companies share a plane so have to share the time with other boats. 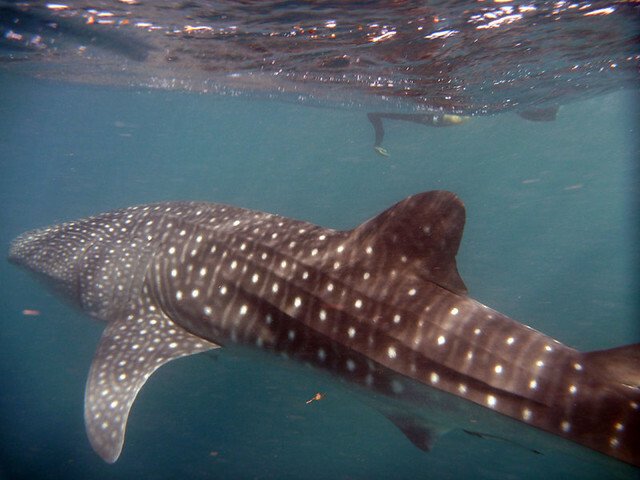 They also donate a lot of money to whale shark research. Cost was $360 pp.